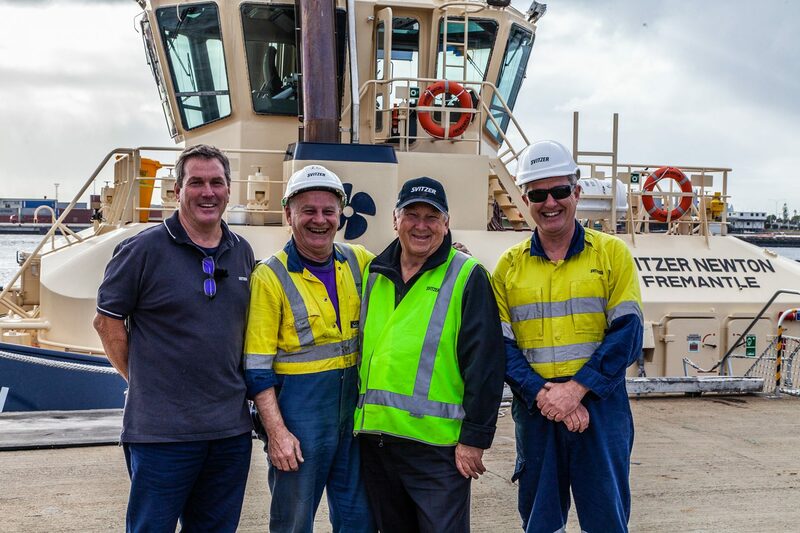 Svitzer’s new tug in Fremantle honours an employee who’s been there and done that. 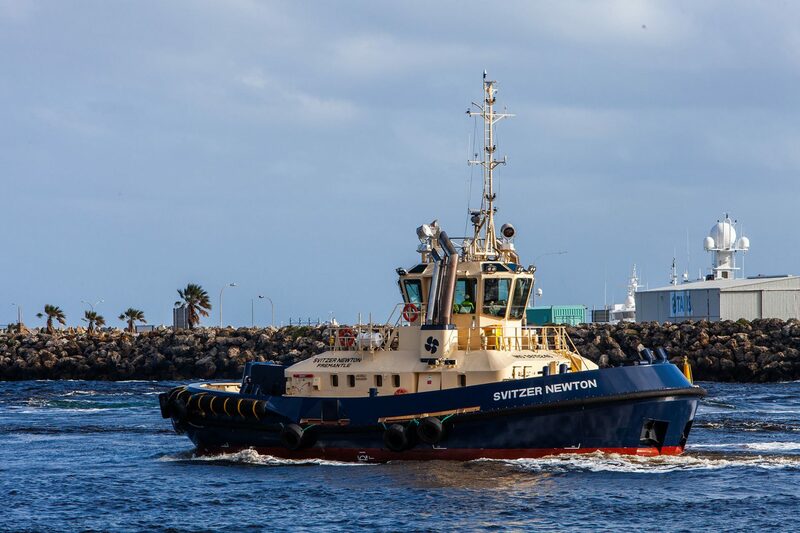 As the latest addition to Svitzer’s Australian fleet was a week away from arriving in Fremantle, it created a pleasant surprise for the man the Svitzer Newton is named after. 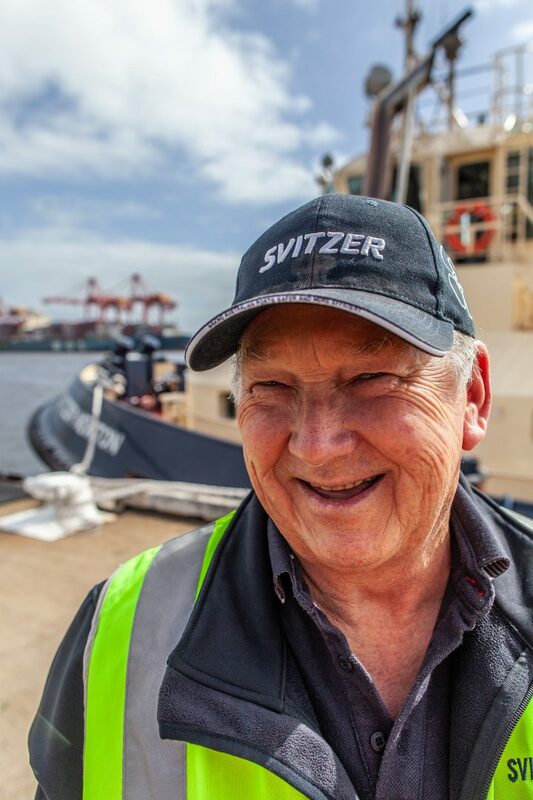 The Svitzer Newton, which arrived at its new home during the end of May, is a fitting tribute to a man who started working at Port of Fremantle in February 1972 as a school leaver, and has been at the same company for 46 years. Prince Launch Service would go through several corporate owners – including Elder-Prince Marine, Stirling Marine and Adsteam Marine – before entering the Svitzer portfolio in 2007. During this time, boat-building in the Australian marine industry was increasingly being conducted offshore. However in the 1970s Prince was still a ‘one-stop shop’ marine services company, which constructed and maintained boats as well as being an operator of tugs, pilots, crew boats, landing barges, working boats and crane-barges. From that workshop, Prince built boats, maintained boats and serviced the engines, electrics, propellers and gearboxes. Steve says one of the boats he helped build in his apprenticeship – a C-class tug called Biggada – is still working in Kwinana as a C class Tug. For apprentices like Steve, it meant learning everything about diesels and gearboxes. He worked on Rolls-Royce, CAT, Perkins, Cummins, Lister, Detroit and Volvo and had to be able to rebuild Allison and Borg-Warner, twin-disc gearboxes, and repair generators, which meant having a working knowledge of electronics as well as mechanics. Yet, following almost half a century working on boats up and down the West Coast, Steve has done as much looking at a road as he has at the sea. Because of his expertise across all engine types, Steve was the trouble-shooter for the Prince fleet which operated from Bunbury in the south of WA to Port Hedland in the north (and later Darwin). Prince’s didn’t have spare or back-up boats – if there was a problem with power, Steve was sent in to fix it. Which entailed a Holden 1-tonne ute, a diesel engine on the tray, and a boilermaker beside him in the cab. The old engine would then be craned-out and the new one craned into place and set-up while the boilermaker returned the deck to normal. Then Steve would conduct a quick sea trial and have the boat ready for its next trip. On the Barrow Island landing barges – which have three or four engines – Steve and his offsider would bring piston and sleeve kits on-board, roll the failed engine on its side while the barge was running its routes, and rebuild the engine at sea. When there were propeller problems, Steve and his boilermaker – if they were in the north of the state – would run the boat onto the sand and wait for the tide to go out. They’d replace the prop and couplings – and often the gearbox – before the tide came in again. In one mercy dash in the Holden, Steve and his boilermaker had to take a stack of marine plywood from Perth to Port Hedland to repair a damaged landing barge. At 3am, North of Carnarvon, a kangaroo jumped into their path and landed in the engine bay. Steve would become the Workshop Supervisor of the Port Hedland office, and on returning to Perth he would later be made the assistant to the Marine & Technical Manager for WA dry-docks including Karratha, Fremantle and Darwin. In 1992, he was given his current senior role at Fremantle and says he’s in awe of the new boats that Svitzer operates. In line with his profession, Steve’s idea of a day-off involves boating and some crabbing and fishing. And he and his wife of 38 years – and their two children – enjoy their weekender at Mandurah.